This event was streamed live on 3 April 2019 and was part of the Indigenous Australia and Digital Futures seminars series. Torres Strait Virtual Reality (TSVR) is a new way of learning and depicting a First Nation person’s experience. It provides access and insight into elements of Torres Strait culture, stories, and practices. This seminar examined the ways that with digital media like TSVR, educators can take advantage of the enjoyment of video games held by our younger generations of adults and children to make learning a much more interesting journey. TSVR has also been an endeavour to help promote Torres Strait Islander culture to a wider audience and highlight their unique culture, traditions and history. The game was provided as a teaching material at the University of New South Wales for several different courses, engaging both Indigenous and non-Indigenous students to share our perspective and knowledge, as well as fostering an understanding of cultural diversity. Rhett is an Associate Lecturer at Macquarie University and PhD student at the UNSW. He is interested in game-based learning and virtual reality. 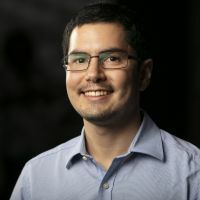 He was recently awarded the CSIRO Indigenous Professional Career Achievement Award for his work on Torres Strait Virtual Reality and vision for new ways of learning.